In case you missed it, Jordan Brand released an edition of the Jordan Melo M10 that was made to celebrate the 2014 Chinese New Year. 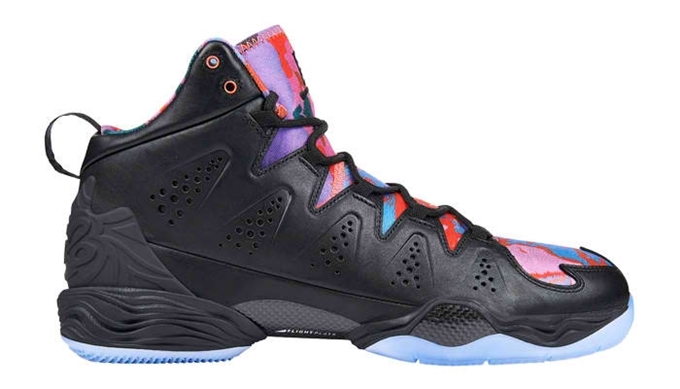 The tenth signature shoe of Carmelo Anthony was released in a “YOTH” edition on Saturday. The shoe, which is listed as the Black/Black-Deep Royal Blue-Red-Violet-Infrared 23 colorway, features a black leather-based upper part combined with a multi-color vibrant graphic on the tongue and toe area plus a translucent blue outsole. This is a limited release so make sure to get your own pair as soon as possible for just $200.